This is my cousin's stove. 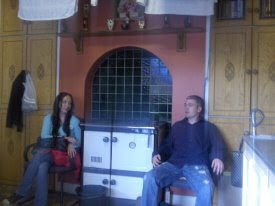 These stoves are the center of the Irish house even now. A seat next to the stove is an honoured place to give guests coming in. This is the source of heat and my stove for cooking in the winter. I burn mostly turf and coal, though both are becoming very dear. 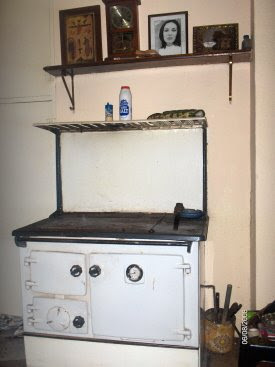 This stove was installed in many council houses throughout the decades and is still widely used in the west. Most homes have other heating now also but I refuse to buy the oil, so use this and a propane heater as well as an electric one for the back bedroom.